by Stephen Shaw. With a Foreword by Martin Narey. An absorbing and highly innovative work by one of the UKs leading experts on prisons and penal reform. This book charts developments across a fifty year time frame beginning in 1980 at the start of a growth in the prison population of England and Wales (and other parts of the world) and ending with a prospective view taking events up to 2030. Shaw deals with key events, issues and developments and the book will be invaluable to anyone wishing to cut through the mass of fine detail and data which can be found in other works in favour of a direct, authoritative and well-informed short history. 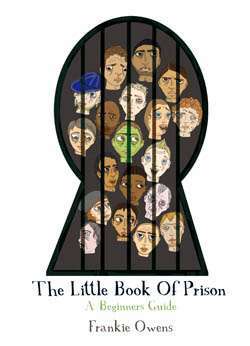 Novel, original and highly accessible, this book makes it altogether easier to understand penal affairs. Touching on the key events which continue to shape penal policy in England and Wales, it looks at seismic shifts since 1980, points to a new democratic mood and anticipates how things might shape up in coming decades. 'A masterly account of prison, drawing from his own wealth of experience and reflections, which provides a challenging read for the layman and prison practitioners alike': Terry Nowell, Internet Law Book Reviews. 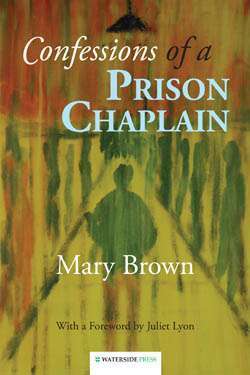 'This is a book which will prove so very helpful to those students studying prisons at undergraduate and postgraduate levels. The chapter on past tense, future imperfect is very engaging indeed': Sam Poyser, Canterbury Christcurch University. 'A lively and readable introduction to prison policy past, present and future. A personal perspective which will challenge and provoke': Dr. Nick Flynn, De Montfort University. 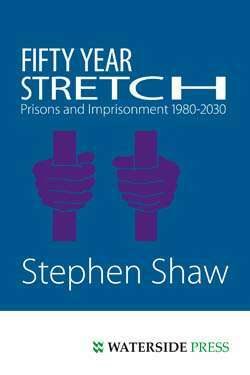 'What we particularly liked about "Fifty Year Stretch" is its construction as a well-informed short history of prisons policy following the 'prison works' objective which may well be re-assessed in the coming years... the question which remains to be answered is does prison work? Stephen Shaw's book certainly does! ': Phillip Taylor MBE and Elizabeth Taylor of Richmond Green Chambers. 'A very useful, accessible and comprehensive text written by a leading authority on prisons': Helen Arnold, University campus Suffolk. 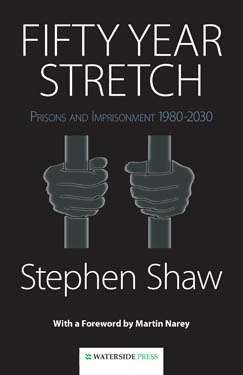 Stephen Shaw was the Prisons and Probation Ombudsman for England and Wales giving him an unusually close view of prisons, Criminal Justice and the preoccupations of prisoners and prison staff. He has also investigated and reported on all deaths in custody. He was also formerly Director of the UKs much-respected Prison Reform Trust (PRT). Foreword author Martin Narey is chief executive of Barnardos having previously worked as Director General of HM Prison Service, Chief Executive of the National Offender Management Service (NOMS) and as a Permanent Secretary within the Home Office. Alternative format ISBNs: PDF ebook ISBN 9781906534844.